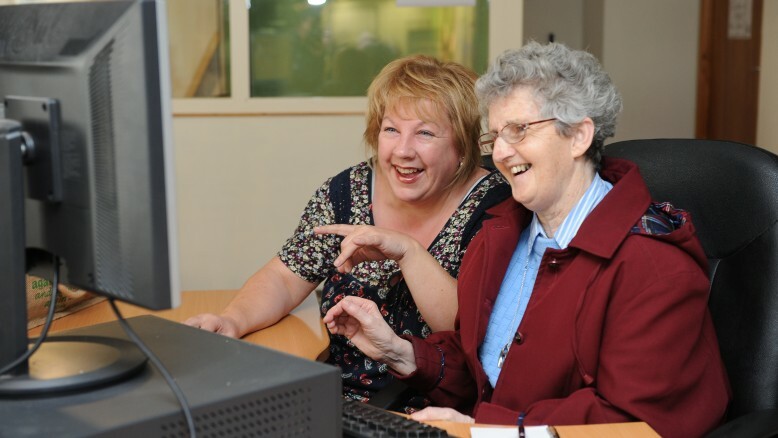 You’re never too old to get in touch with technology and our team of tutors has been rated in the top four in Ireland in the Google Silver Surfers Awards 2013! Would you like to have some one to one lessons to get up and running with e-mail, exploring the internet, Skype etc.? Would you like to organise your photos on your computer, laptop or tablet? We’ve been running classes for a little while now and our “students” are really enjoying them. Absolute beginner? Don’t worry if you’ve never used a computer before as we work with you, at your pace, so you can learn what you want to learn. We have a growing list of interested ladies and gents so give us a call or drop down to get your name on the list.